Milan: Italy coach Giampiero Ventura believes that the transfer market should close before the start of the season, he said on Monday. 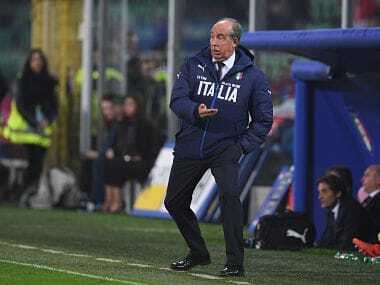 Ventura said that uncertainty over the situation of a number of players had made it difficult for him to pick the squad for Saturday’s World Cup qualifying showdown away to Spain, their most important match since Euro 2016. “There are players in the middle of negotiations who have not played, or others who have changed teams and have only played a few minutes and it’s the national team which pays the price,” the veteran coach told reporters. He said it was a contradiction that the transfer window around Europe ended at the end of August when the season was already two or three weeks old. “The market should close 24 hours before the start of the season, I’ve always said that,” he said. “A lot of people have asked me when I have called up Leonardo Spinazzola, but if we talk about him during the year he’s an asset,” he said. “They’ve also asked about Federico Bernardeschi, who has played little, and the same goes for Lorenzo Pellegrini and Andrea Barzagli,” he said. 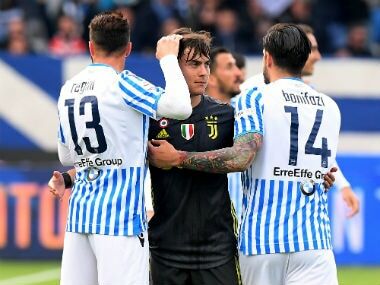 Spinazzola has yet to play for Atalanta this season while Bernardeschi has played only 18 minutes for Juventus since his move from Fiorentina. 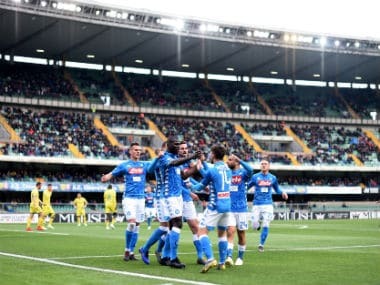 Defender Barzagli has played for 16 minutes after coming on as a substitute for Juventus against Genoa on Saturday while AS Roma’s Pellegrini has also made one brief substitute’s appearance since his move from Sassuolo. Spain and Italy are level on 16 points at the top of Group G although Spain have the better goal difference. Only the winners qualify directly for Russia next year while the best eight runners-up in the nine European groups go into two-leg playoffs. Italy have not won in Spain since 1949 - although that did not worry Ventura. "We'll take the game to Spain and try to win," he said. "If the last time Italy won in Spain was 70 years ago, it's clear that there’s been a problem. But it also means that if we win, we will have done something great."